• Oregon’s population is 783,369, Klamath County’s is 11,413 and Klamath Fall’s population is 4,801. There are 992 farms in Klamath County. For the first time, the 1920 census indicates a population in the United States over 100 million people – 106,021,537. The geographic center of the United States population remained in Indiana, eight miles south-southeast of Spencer, in Owen County. • Mrs. Weston & Mrs. Kilbourne operate Eagle Ridge Tavern (1920-23). • A.C. Geiger plattes Chiloquin Heights. The South Chiloquin addition is included within the town’s boundaries. • • COPCO brings power to Chiloquin. • Link River Dam begins construction (1920-21). • Twin daughters were born to Mr. and Mrs. Clark Terry but one died soon after birth and is buried in the Henry Jackson cemetery on hill behind the Klamath sub-Agency and school. • Merrill, Oregon’s business district sustains heavy damage from fire. • Winston Patterson lives in the caretaker’s home next to the old dilapidated Odessa Resort. He recalls Mrs. Fleishhacker spending her summers in Rocky Point and the mail coming on Tuesdays. • The Geary Brothers inherit from McCormacks part of Caledonia Marsh/Running Y Ranch. • June 4, George Baldwin died. • 1920’s: 3,200 acres drained at Tulana farms. • Lower Klamath Refuge becomes so dry, drained by farming interests, that the peat catches fire. • October 8, The Huston Opera House and nine other buildings burn, killing nine or ten people and a loss of $100,000. the fire started across the street in the Houston Hotel. • December 10, Judge Campbell of Oregon City tries the first case in the County Courthouse – the Ingersoll – Stoesler murder case. This is the same building that was damaged in the 1993 earthquake. • January, the first Boy Scout Council in Klamath Falls. • January, Lydia Frick (Mrs. Mark Howard) is the first county nurse. • George Strawbridge purchases land from Henry Jackson and plattes the original subdivision of east Chiloquin, east of the Williamson River. • Link River Dam completed, allowing control of water releases from Upper Klamath Lake. • Klamath Project construction begins on the Lower Lost River Diversion Dam (Anderson-Rose Dam) and the J Canal to serve the Tulelake area. • June 6, Frank Wood obtains a homestead, now known as the Hakanson Place, in Rocky Point that includes both sides of the Pelican Bay Cut. He would lose it to the Klamath (Development?) Company on a tax foreclosure. • • September 8, Power and water engineers meet at Eagle Ridge Tavern. • Rocky Point Resort operated by A.R. Leavitt. • 1921-28: Three 40’ launches. Oakland, Oregon and Spray, carry mail, passengers and freight. • A.C. Allen runs Rocky Point Resort; avid photographer and film maker, first successful films of Crater Lake. (1921-23). • September 29, 47 pioneer familes, veterans of World War One, successfully draw homesteads in the Tulelake division of the Klamath Reclamation Project. Homesteads allotments in 1927, 1928 and 1929 proved to be successful. • Work begins on the Malone Dam. and population would trigger developments. 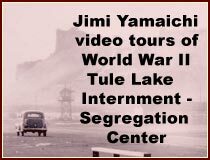 The plans would eventually result in Tulelake, California being formed. • • John Bedford was one of the first partners with William Bray to build and operate Bray Mill on the Sprague River. Mr. Bedford would sell his interests and then supervise and own lumber companies in California and Arizona. • October 31, the Hart brothers from Sacramento open the Pine Tree Theater in Klamath Falls. • Ray Jestens becomes caretaker of Harriman Lodge. He remains for 12 years. • 500,000 yards of mud dredged near Pelican Marina to allow log storage navigation. • April 5, Arvid “Ed” Hakanson obtains homestead on Lake O’ Woods Road. • First addition to the town of Chiloquin. • Train robbed by DeAutremont brothers, at tunnel thirteen in the Siskiyou Mountains. • Robert Spink closed Idlerest and exchanged the farmland and house to Henry Jackson, a Klamath Indian, for 87 acres on the westside of Williamson River. He moved upon this, then platted and developed west Chiloquin. • June 5, A.L. Leavitt’s boat, The Spray, is grounded on Goat Island while ‘dry agents’ are searching for hidden stills. • Cap Hansbury homesteads in Rocky Point and starts a fox farm. • September 22, Arvid Hakanson sells his homestead to Nancy Vollman. • September 25, Supreme Court decision ends courthouse conflict in Klamath County. • • January 25, California Oregon Power Co., (Copco) guarantees to maintain Upper Klamath Lake at a level between 4137 and 4143.3 feet. • February 12, “Recreation” post office changes name to “Pelican Bay”. • May, the new thirty room Hotel Balfour is opened to the public in Chiloquin. • • Herbert Flesishhacker obtains the “Hakanson Place” from the County and sells it to California Oregon Power Company. • Klamath Reclamation Project Construction begins on the Miller Diversion Dam, Gerber Dam and North Canal in Langell Valley. • The second addition is made to the town of Chiloquin. • A. C. Geiger begins a water works company which the town of Chiloquin will purchase. • June 2, The News begins tri-weekly publication, in Klamath Falls. • The stock market begins its spectacular rise. Bears little relation to the rest of the economy. • June 4, a celebration at Hayden Creek Meadows is held to mark the completion of the Ashland – Klamath Falls Highway. • June 20, a plan to complete the Lake Shore roadway by building a bridge across the Link River and extending the road to Rock Creek is proposed. • June, Warner Brothers film company is shooting a movie, Rin Tin Tin Get Your Man, in Klamath Falls. • June, white robed and hooded gang tries to move a colored woman out of a cabin on Klamath Avenue near Broad Street in Klamath Falls. She was apparently unworried and did not move. • June 2, all Indians are designated citizens by legislation passed in the U.S. Congress and signed by President Calvin Coolidge. The Indian Citizenship Act granted this right to all Native Americans that had been born within the territory of the United States. • June 30, “Pelican Bay” post office changes name to “Rocky Point”. • July, the Klamath Herald leases the first wire newspaper service in the area. • August, Dr. G.W. Newsom opens the first County health unit. • The Civic Improvement Club is organized in Fort Klamath. wiping out part of McCloud CA. • October 21, twelve Klamath Indian skeletons are discovered buried in three feet of moist, loamy soil by a road construction crew at a point in the Klamath Marsh over which the Old Military Road is routed. • November 12, The News becomes a daily in Klamath Falls. • February 20-27, twelve stages make the trip between Klamath Falls and Ashland-Medford as the Ashland- Klamath Falls Highway continues construction. • February 20-27, two men are arrested in Wood River District on charges of possession of two gallons of liquor and selling alcohol on the Klamath Indian reservation. • April 16-23, the steamboat Winema is used as a dwelling on Upper Klamath Lake at Shippington. • April 16-23, construction plans for a forty bed hospital to serve Klamath Indians was approved at a cost of $25,000. • May, road paving begins on the Klamath Falls to Medford road. • May 21-27, Stout and Ramsdell deliver the first shipment of eastern brook trout from their first Chiloquin fish hatchery. • The dance barge Venetian prepares for her maiden voyage. • COPCO 2 Dam becomes operational. • Brook trout are introduce to the Lake of the Woods. • Early June, trout are striking the march brown and blue bottle flies better than any others at Crystal Creek near Rocky Point. • Eagle Ridge Rod and Gun Club takes over Eagle Ridge Tavern. • Leslie Spears conducts two months of ethnographic field work among the Klamath Indians. • Arthur W. Prialux publishes Chiloquin’s first newspaper, The Chiloquin Review. • Henry Woolf had a successful bakery and built a brick building on the opposite side of the street from Gienger. • • Forest Lumber Company builds a large mill on the Williamson River, one and one-half miles north of Chiloquin on site of the old Modoc Lumber Company mill. • Southern Pacific acquired the controlling interest in the balance of the south 100-mile section of the Nevada, California & Oregon Railway which had been purchased by the Western Pacific line and immediately commenced reconstruction and broad gauging operations. • July, John D. Rockefeller visits Crater Lake National Park. Ray Wilbur, Secretary of the Interior, announces the U.S. will spend one million dollars to pave the Rim Road around Crater lake. • Steamer Winema destroyed by fire while in dry dock at Klamath Falls. • October 15, Klamath Falls comes in second to Portland in number of buildings erected in 1925. • October 15, an information sign is installed in Moore Park. The zoo there features elk, deer, antelope. water fowl, smaller forest animals and a black bear. • November 21, President Calvin Coolidge proclaims Lava Beds National Monument. • December – The Odessa Ranger station buildings are torn down by Ranger Floyd Murray. • December 26, Telford & Sons build an ice craft seating twelve passengers for Harry Telsford and Douglas Puckett. The ice craft can travel up to 90 miles an hour powered by a 90 horsepower motor driving a regulation airplane propeller. On good ice they can go from Klamath Falls to Eagle Ridge Tavern in about fifteen minutes. The boat can be used on ice or water for commercial hauling and modern “sleigh riding” parties at night. • • March 4, the first log raft of the season will be seen near the Williamson River Bridge. The steamboat “Wasp” will move 400,000 feet of logs. Spring had officially arrived. • The first Chiloquin election; 200 more votes than adults citizens in town are cast. • A.C. Geinger was the first Mayor of Chiloquin. He also built the town’s first $100,000 building. • Klamath Falls City Library is located on property, 500 Klamath Avenue, donated by Mrs. Fred Schllock and C.H. Daggett in memory of Henrietta F. Melhasse. it contains 13,000 books. • The privilege of purchasing Indian lands by white people is terminated. • The Palmer brothers open the first building in Chemult. • Mail contract for Upper Klamath Lake goes carrier via road. • Southern Pacific Railroad completed the line over the Cascades to connect Klamath Falls with Eugene. • R.C. Spinks took in hundreds of Indian range horses on debtsm broke them and sold the horses to Southern Pacific Railroad. • Water is being delivered to about 21,000 acres in the Klamath Reclamation Project. • Rufus C. Moore donated land for Moore Park on Lakeshore Drive, originally known as Rock Creek Highway. • August 7, Golden spike ceremony for completion of railroad to Cascade Summit. • • 3 million board feet lumber floated down Wood River by Paul Wampler. • Chiloquin, known as “The little Chicago of the West, incorporates with a population of 2,000. • October 16, White Pelican Hotel destroyed by spectacular fire that started in the basement. • November 15, the NBC Radio Network is formed by Westinghouse, General Electric, and RCA, opening with twenty-four stations. • First Crater Lake Ski Race, round trip from Fort Klamath to Crater Lake 42.6 miles. reservation and Forrest Service employees. • • First power line goes through Fort Klamath, California Oregon Power Company. • Southern Pacific Railroad acquires the Oregon, California and Eastern Railroad. • Chiloquin has 2,000 inhabitants, three big lumber mills, box factories, barber shops, grocery stores, drug stores, doctors, dentists, lawyers, pool-halls, movies, dance and card rooms. • May 20, Charles Lindbergh leaves Roosevelt Field, New York on the first non-stop transatlantic flight in history. He would reach Paris thirty-three and one-half hours later in the Spirit of St. Louis, his aircraft. • Klamath Agency School building burns. It has an enrollment of 200 students. • Keno Power Company purchased by California Oregon Power Company. • June, Southern Pacific Railroad broke ground at Klamath Falls on their new subsidiary, the Modoc Northern Railroad. The Modoc Northern was to run from Klamath Falls southeast to a junction with the Nevada, California and Oregon Railway at Alturas. • Winema catches fire ignited by sparks from nearby donkey engine. • 35 families, consisting of 225 people, live in Fort Klamath area. • September 10, Chiloquin State Bank opens on Main Street in Chiloquin. • September 7, first success in the invention of television occurs by American inventor Philo Taylor Farnsworth. • October 6, the advent of talking pictures emerges. Al Jolson in the Jazz Singer debuts in New York City. • November, thousands of people celebrate the official completion of the new Southern Pacific line into Alturas over the old N. C. & O. right of way, and of the arrival of the first standard gauge train from the main line at Reno. • Snow reaches 242 inches (20.16 feet) at Rim Village, Crater Lake. near Klamath Falls. (1928 – 1929). • $50,000 worth of bonds are raised to build the Klamath Falls Municipal Airport, with one fixed base operator and gravel runways. • • Braymill White Pine Company on the Sprague River closes. • Chiloquin branch of the Klamath County Library system is established in Chiloquin City Hall with Mrs. Robert McCain being paid $360 a year as the first librarian. • Farmers’ share of the national income has dropped from 15 to 9 percent since 1920. • By this time the City of Chiloquin included a townsite originally platted from Indian lands and known as the “Juda Jim Allottment” all on the east side. • May 11, Great Northern Railroad reaches Klamath Falls. A public celebration is held the next day. • Dwinell Dam constructed on the Shasta River, cutting off most spawning habitat to the largest Klamath Basin salmon run. • June 17, Amelia Earhart becomes the first woman to fly over the Atlantic Ocean. • • Upper Klamath Lake Wildlife Refuge established. (14,400 acres). 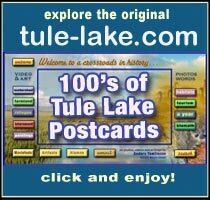 • Tule Lake Wildlife Refuge established. (39,100 acres). • January 15 or 17, Pelican Theater opens in Klamath Falls. muskrat farms in the west. • 1929-36: Harry Reed was mechanic, with Ray Doty, under head mechanic Martin Palmer at Crater Lake maintenance shop. Harry also worked the Oregon Caves and Lava Beds, with shops located at the 3C’s camp. • June 25, the first automobile was driven to the top of Table Rock in Jackson County. The 1929 Essex Challenger was driven by Hugo F. Lange, vice-president of Armstrong Motors in Medford, Oregon. • A school is built by Gus Johnson at Denny Creek. • Warmest day on record at Crater lake, 92F at Annie Springs. • August, recession begins two months before the stock market crash. During this two month period, production will decline at an annual rate of 20 percent, wholesale prices at 7.5 percent, and personal income at 5 percent. • Annual per-capita income is $750; for farm people, it is only $273. • October, Ed Ostendorf home on Pacific Terrace has the first domestic hot water heating plant installed. • October 24, Stock market crash begins. Investors call October 29 “Black Tuesday.” Losses for the month will total $16 billion, an astronomical sum in those days.